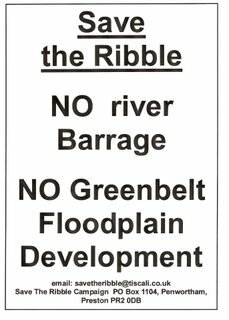 Save The Ribble: Is Preston Council Backing Off from Barrage And Housing Ideas? Is Preston Council Backing Off from Barrage And Housing Ideas? 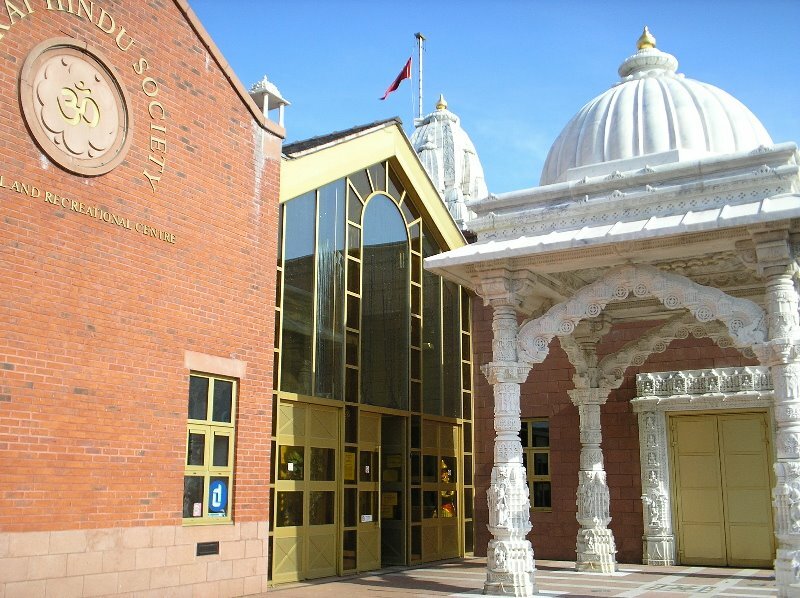 Two members of 'Save The Ribble' attended the 'Central Area Forum' held at the Gujurati Centre on South Meadow Lane on Thursday night (16th November). "The meeting was attended by a lot of high ranking councillors and council officials as they wanted to promote the idea of Preston and South Ribble Councils going unitary. Among all the local people attending the meeting, there was a deep mood of hostility and worry about the ideas contained in the Council's 'Riverworks' proposals. One person spoke about how much she enjoyed the rural character of the land on the southern bank of the Ribble, and how she did not want to see that destroyed by Riverworks. We asked whether the real reason that Preston wanted to go unitary with South Ribble was to make it easier for them to proceed with their ideas of building housing in the Ribble Floodplain - the greenbelt land that divides Preston from South Ribble next to the River Ribble. All the councillors and officials started saying that the locals were all making far to much fuss about the barrage and housing ideas - they said that they would not be surprised if 95% of what is in the proposals would never happen - it was all just 'blue sky thinking', and although they had spent lots of time and money on putting together these ideas, and publishing press releases and expensive glossy brochures, that didn't really mean anything, and that locals really had nothing to worry about. We found this a little puzzling - why are they spending so much money and time doing 'blue sky thinking' about this part of Preston, on things they now say they don't even expect to happen, when other parts of Preston with much deeper social problems could really benefit from that kind of investment of thought and money - though perhaps the results would be less headline grabbing than the kind of grandiose schemes that Preston seems to favour at the moment? We asked Jack Davenport and Bhikhu Patel, councillors for the Riversway ward that borders a long stretch of the River whether they would represent the views of local people by making a commitment to do everything they can to oppose any proposal for a barrage, or for housing in the Ribble floodplain; things that are so clearly not in the interests of their constituents. They both said they would NOT give such a commitment. This is because, they said, sitting on council committees is a quasi-judicial process, and they could not say anything in advance that might prejudice what happens at such committees. They said that eventually, they will consult local people about the Riverworks proposals, and that they would listen to this consultation. This disappointed us, as our idea of democracy is that councillors should tell people what their policies and beliefs are, and then stand up for them on the council - we can then decide whether or not to vote for them on the basis of how well they have kept their promises - this does not seem to be the way that Preston's council works - here it seems politic for councillors to avoid giving any kind of definite commitment to their constituents, and to just ask them, in the words of Jack Davenport to 'Trust Us'. 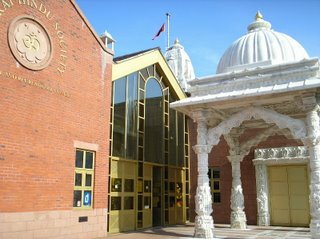 Residents who can remember the scandals of the 1980s may feel less willing to extend their trust to Preston Council when it comes to such major development ideas. We hope that Jack Davenport's promised consultation will be real, and not done when any proposals are already a foregone conclusion - but really the consultation should have happened a long time ago - before the council spent so much money with consultants coming up with such loopy ideas, local people would easily have come up with much more realistic and responsible ideas. They are trying to reassure local people that what they are not going to do what they said they were thinking of doing - but at the same time, the housing and barrage ideas have not been removed from the Riverworks proposals. We feel that if the council are telling the truth, that they do not expect a barrage or a housing development to happen, and not just trying to mollify us with a few calming words while at the same time steaming ahead with the plans, then they should immediately remove these ideas from the set of proposals they are investigating - why waste any more of our cash on such unpopular and patently stupid ideas? As long as they remain in the proposals, any developer could come along with their own proposals for building on our greenbelt, and be able to claim that they are in line with City Council policies. The only way that the council could truly put the minds of local people at rest is by making a clear and unequivocal statement that they now have no intention of barraging the Ribble or of building any housing in it's floodplain. As long as they refuse to give such an assurance, the suspicion will remain that the council is still pushing for a barrage and housing development behind the backs of local people.."
* Does the Council Want to build a barrage across the Ribble or not? 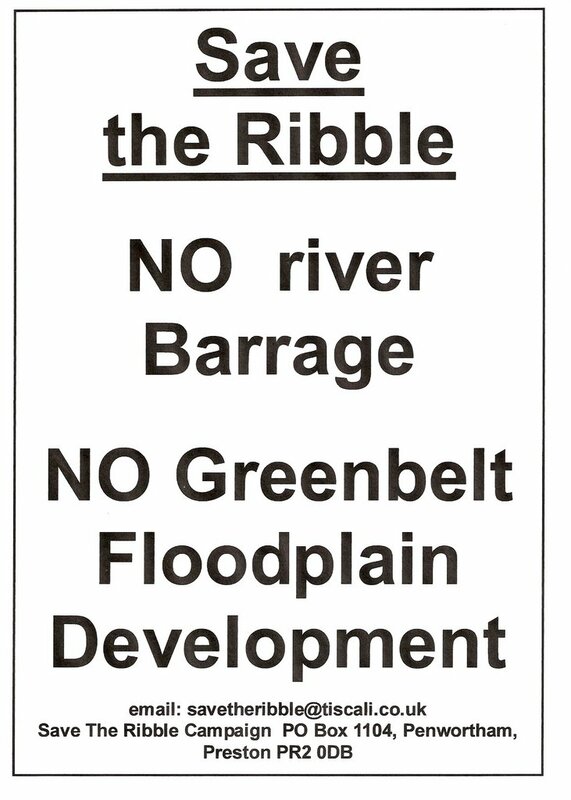 * Does the council want to build 4000 houses in the Ribble floodplain or not? 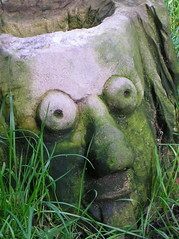 Without a clear unequivocal statement from the council on these two key issues, we can only conclude that despite all their placatory comments to local people, their true intention is to continue with these environmentally and socially irresponsible ideas, and the only course of action open to us is to continue to build the campaign to oppose the Council's Riverworks proposals. I can see few benefits in a merger between Preston and South Ribble and whilst the current two tier structure does have its problems it can be made to work. I have no doubt that a merger would ultimately change forever the nature of the area. Preston docklands may be a commercial success but it's hardly an inspiring landscape. 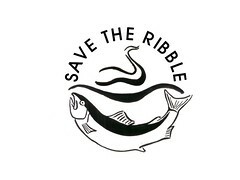 Save the Ribble landscape for generations to come. One day, it may be seen by the Councils as one of Preston and South Ribbles greatest natural assets rather than a commercial opportunity.